8/1/16 - 9/1/16 ~ . August 15 has been done successfully. 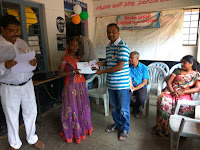 I requested my friends to conduct and distribute the prizes which are collected from our ASWA. 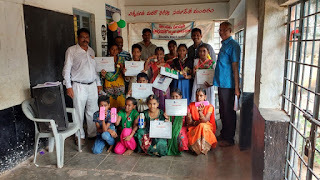 the Participants of competitions also. 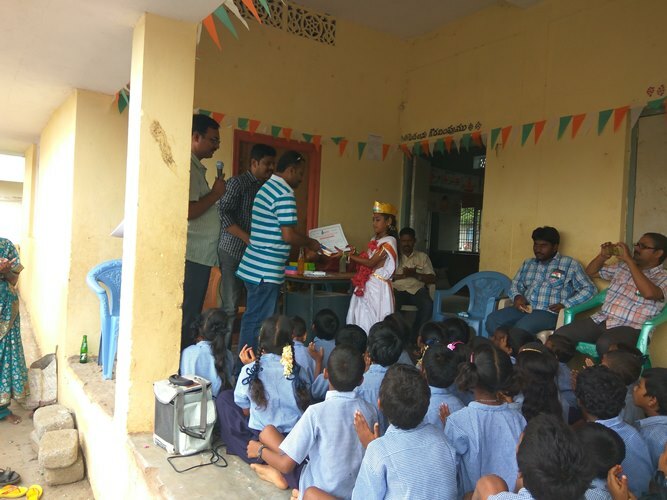 Pics are taken only in two schools. Due to guests time slots they were not able to join the third school it seems. But made that H.M to distribute to the winners. Thanks a lot to our ASWA for giving a great opportunity. 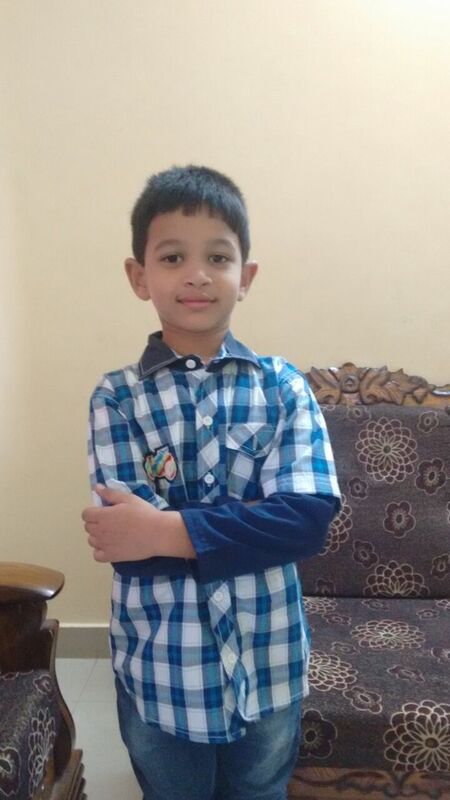 Please find the attached pics. I will share the feedback form shortly as soon as i get from my friends. అన్నం పరబ్రహ్మమ్-Food Distribution @ Govt Maternity Hospital , Koti On 18th July (Monday),2016, Hyderabad. 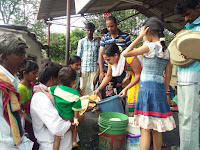 We successfully completed food distribution on July 18th, at Govt Maternity Hospital, Koti. This is food distribution was sponsored by Mr.Vara Prasad Garu in the name of his mother K.V Rathnam Garu. 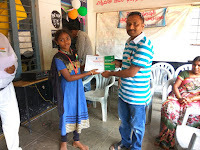 our special thanks to Vara prasad Garu for their kind contribution. 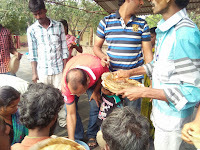 We distributed 170 packets for chapathi, Dal curry along with one pomegranate fruit. 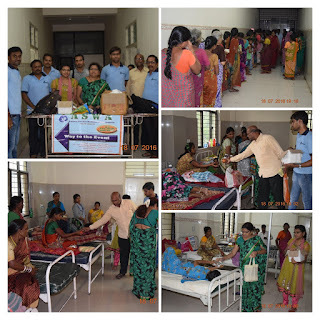 Totally, we distributed 5,100 rs worth of food at hospital and 170 inpatients benefited. 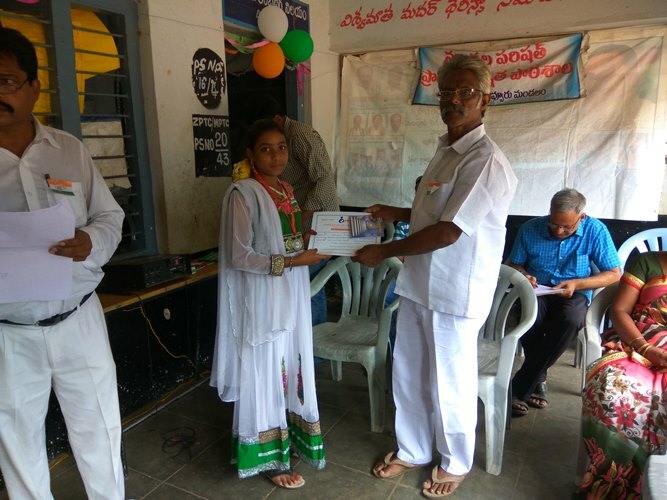 For this activity along with sponsoring the food , our donor's father Narayana Garu actively participated in food distribution. 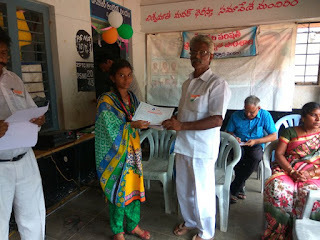 ​Presenting Certificate of Appreciation to Narayana Garu, for their active participation. You too can sponsor for this noble cause Fully/Partially either Regularly or Occasionally on your special days. Under 'Annam Parabrahmam project' on every 3rd Monday of every month, we conduct food distribution at Govt Maternity Hospital, Koti. For this month we are going to conduct food distribution on 18th July,2016(Monday). From the last two times , our donors sponsoring for total event on their family member special occasions. For this time food distribution is sponsoring by Mr.Vara Prasad Garu in the name of his mother K.V Rathnam Garu. To distribute in female ward we need minimum one female volunteer. Venue : Govt Maternity Hospital,Koti. Address : 🏩Govt Maternity Hospital, Sulthan Bazar, Opp Koti Women's college, Koti. Please participate and make the event grand success. Interested please ring ☎:Sarath Chandra 9700546866 / Dhanesh 7893451007 / Dhana Lakshmi 7842678879 / 📞ASWA help line9948885111. As you all know that we regularly conducting food distribution activity in Govt Hospital,Anantapuramu in every month twice. With initiation of Kamalnath Anna we getting sponsors for food distribution activity. 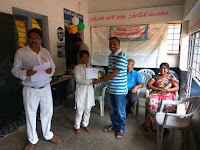 On occasion of his son's birthday Sai Sri Avaneesh – DoB : 29th July and Karthik Krishna – DoB : 10th August ,Seetha ram Garu (Anuta Networks) sponsored food for two weeks. 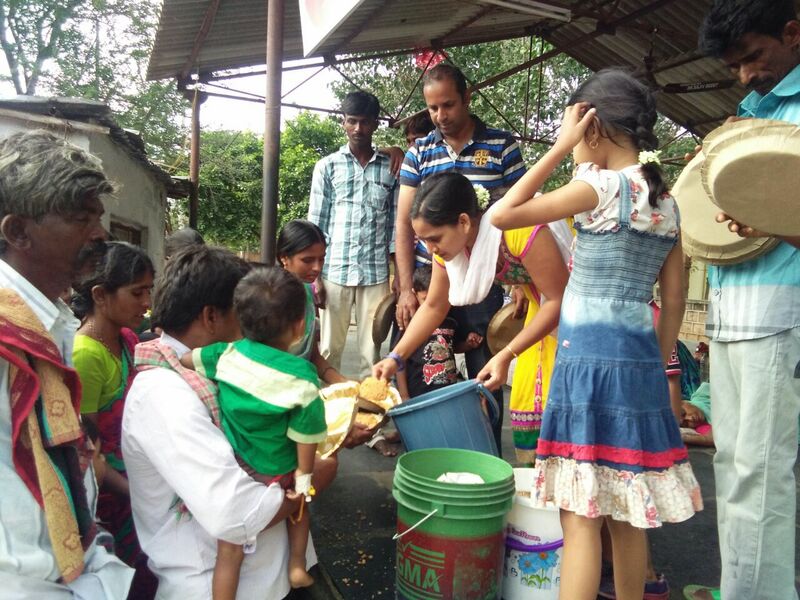 In this we conducted first event on 31-7-2016.we distributed veg Pallav to 140 needy people.
" Belated Happy Birthday To Sai Sri Avineesh "
Special Appreciations to Seetha ram garu and who are participated in this event. We inviting sponsors for conducting activity regularly on special occasions.Interested contact on our helplines. 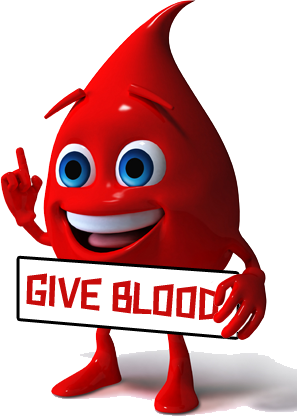 Help Lines: Hyderabad (H.O) : +91-9177999263, +91-9666664562,+91-9032840686 Ananthapuram: +91-9849685946. 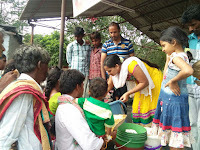 Under 'Annam Parabrahmam project' we going to conduct food distribution at Govt Hospital, Anantapur. 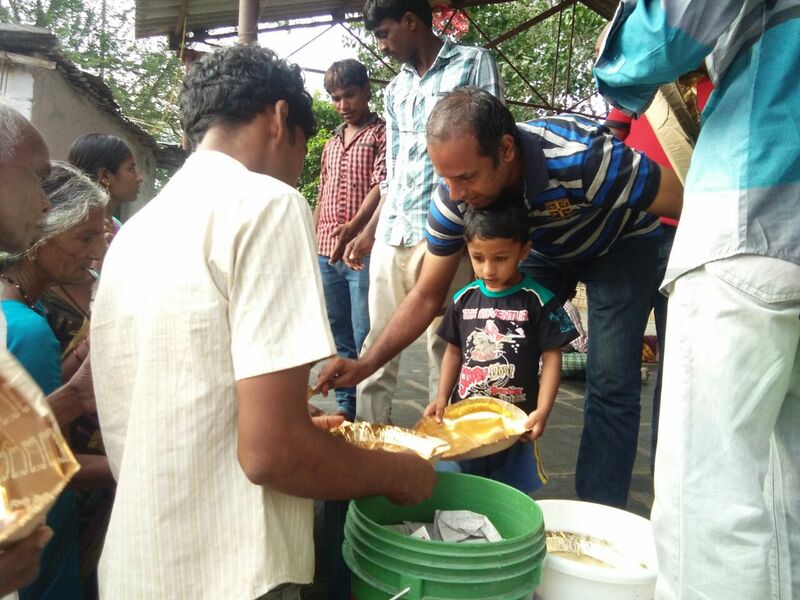 For this month we are going to conduct food distribution on 21th August,2016(Sunday). 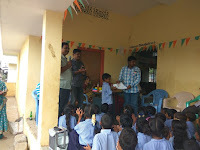 In the last event our donor Seetha ram Garu sponsored for food distribution activity on occasion of his son's Sri sai Avaneesh Birthday. We have huge need of old clothes to distribute needy.If want to donate please ring on us helplines.We will come and pick the clothes or any used materials to distribute to needy. To distribute food and old clothes we need volunteers . Interested please ring ☎:Naveen 949685946 / Basha :8019872691 / 📞ASWA help line9948885111.